WIN! 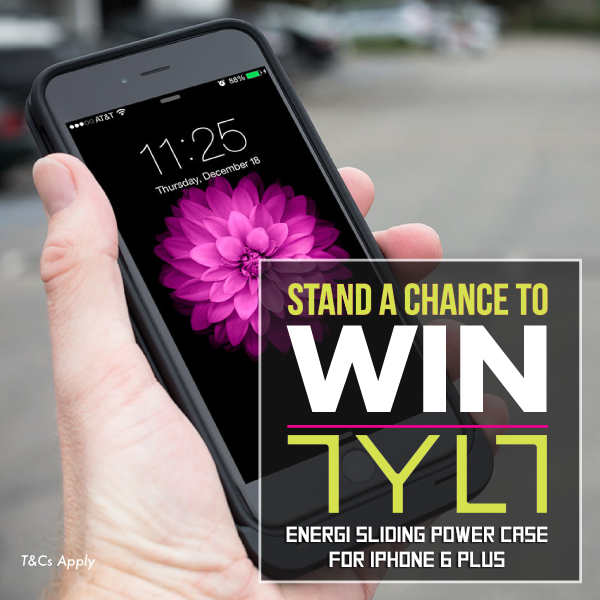 EpiLife Singapore has a TYLT Energi Sliding Power Case for iPhone 6 Plus worth $139 to give away! Simply follow the steps below to stand a chance to win it for yourself! 3 Share this post on your wall and comment with your instagram id! Contest ends 3rd June 2015. Winner will be announced on the 4th of June 2015. Terms & Conditions apply! Find out more on how to Win A TYLT Energi Sliding Power Case for iPhone 6 Plus worth $139 at EpiLife Singapore Facebook page.